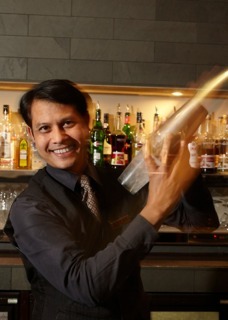 Patara is trying to do the same thing with its new Chao phraya cocktail. Created as part of an exclusive cocktail menu for this week's Taste of London food festival in Regents Park, head bartender Chaiya has mixed together vodka, Tia Maria, chilli, lime juice, mango puree, holy basil and coriander leaves to create a drink that epitomises Patara’s fine balance of delicate yet tasty flavours. I'm not a fan of Tia Maria, usually finding it too sickly, but I thought I'd show willing after I initially put in a poor show on the food journalism adventurous front, playing it safe with a Thai Pimms, which was pretty similar, bar ginger in the place of strawberries. My Chao Phraya (pictured here) was part gazpacho, part bloody Mary. I haven't drunk anything like it before, and it works. A sip and the first thing that hits is the mango mixed with chilli, like a Thai salsa, then the coriander and a savoury tang takes over. There's definitely a spicy kick to it but the best thing about Chao Phraya is the freshness of it. "The overriding theme of the cocktails is that they are fresh, deriving from Thai flavours," explains one of the ever-so polite waiting staff. Chaiya's wishes to call the drink Tom Yum soup were vetted on the grounds that it would put off cocktail sippers, but, for me, that's its beauty. Still, I imagine Korma milkshake or Bisto protein juice would likewise not go down too well with prospective punters. Main course over it was time to sample some of the other delights: the Siam Ruby with fresh pomegranate seeds, juice, vodka and ginger was a fruity treat and less sweet than the Patara Passion's passion fruit puree mix but not as sweet as the Lychee Collins. This was a little too sickly for my liking but my friend slurped hers up easily. These cocktails aren't available in the restaurant just yet but if they prove popular at Taste they should hopefully make it on to the main menu. Potentially, the Thai restaurant could also soon open up the front area of its restaurant, where sofas and the relaxed vibe would be perfect for people who just want to come in for a drink. It's still licensed as just a restaurant at the moment but Patara’s people are working on a later licence that should see visitors enjoying all the flavours of the restaurant in a glass. 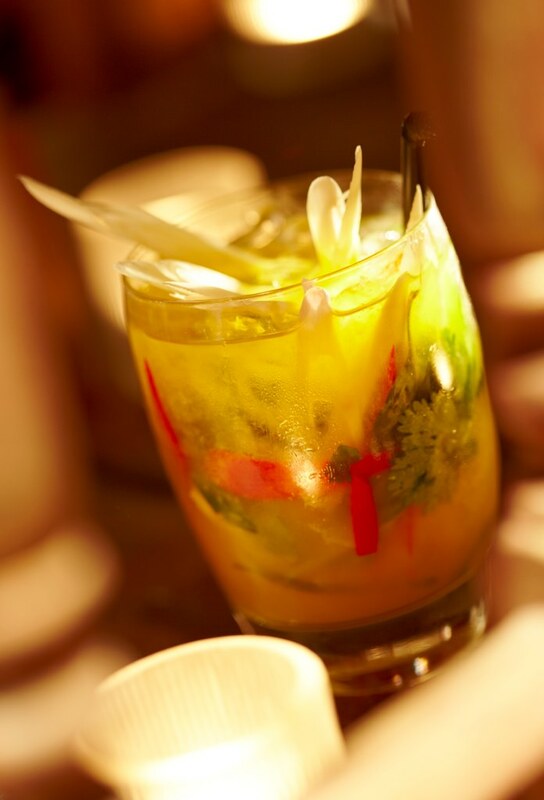 The Willie Wonka of Thai cuisine has definitely come up with some deluxe cocktails for Taste of London. I'd like to imagine myself sipping one on a Thai beach, or at least in a sunny Regent’s Park - and hopefully before too long on one of its snug sofas on Greek Street at Patara.